Frank Ingrassia ’75 ’16P only played sandlot sports growing up. Nothing organized, just the neighborhood kids getting together every day to play ball. Fast-forward a few decades to when Ingrassia’s eighth-grade son, Peter, unexpectedly needed a soccer coach so the club travel team could continue to play. Ingrassia volunteered having only experienced soccer through the eyes of a spectator watching his two older children play. “I decided to put my hand up and become the coach. We kept the team going, and he played through his senior year in high school,” said Ingrassia, who ended up leading youth soccer teams for more than 20 years, coaching five of his seven children. 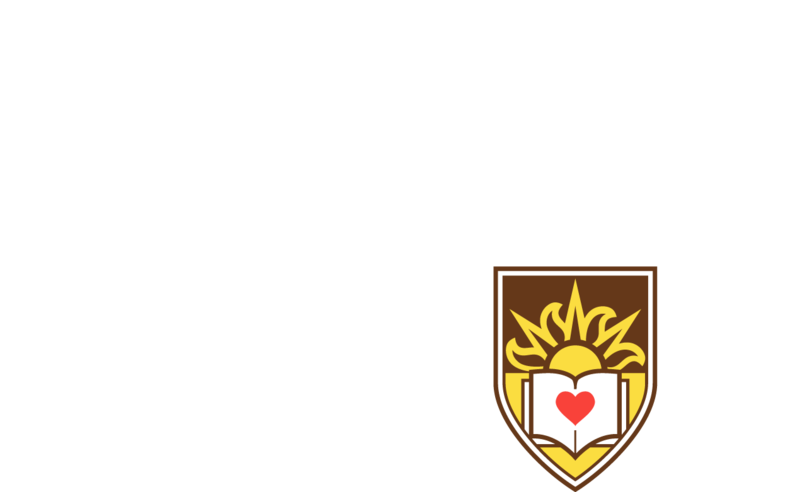 Ingrassia decided to raise his hand again when an opportunity arose and chose to support Lehigh University Athletics. With a generous $1.5 million commitment, he and his wife, Elizabeth McCaul, established The Ingrassia Family Men’s Head Soccer Coach Endowed Fund. The men’s head soccer coach position has been held by Coach Dean Koski since 1991. Ingrassia, a Lehigh University Board of Trustees member, first learned of the need to endow the coaching position from Joseph Sterrett ’76 ’78G ’03P ’05P ’07P ’09P, Murray H. Goodman Dean of Athletics, who spoke at the April 2018 board meeting. The endowed fund adds permanent resources to the athletics department that already contributes significantly to the overall financial costs of providing a high quality, developmental student-athlete experience. Just as endowed chair positions are proven to attract and retain great academic faculty, endowed coaching positions attract and retain great athletic faculty and staff. The Ingrassia gift can also make available other resources that can be used to hire additional staff, recruit soccer scholar-athletes, and purchase performance-building and student-development technology. As Lehigh’s 15th head soccer coach, Koski will enter his 28th season in fall 2019 with the most wins of any soccer coach in program history with a career record of 233-202-64. During his tenure, he has guided the Mountain Hawks to two Patriot League Tournament championships (2000, 2015), a Patriot League regular-season championship in 2006, and four NCAA tournament appearances. He has helped develop four All-Americans, 22 First Team All-Region selections, 45 First Team All-Patriot League selections, and 45 Second Team honorees. In addition, four players, Andrew Mittendorf ’99, Kevin Jackson ’00, Adam Williamson ’06, and Adam Welch ’10, were drafted by Major League Soccer franchises. Koski’s success relies on maintaining stability and consistency in what the program offers. Targeted recruiting efforts, experienced and caring staff, and the development of scholar-athletes to their full potential are at the core of the team’s advancement. “We want to make sure that when we bring student-athletes into this program they are going to experience a very exceptional four years. In order for them to do that, we have to do right by them by making sure that we are coaching, developing, leading, and mentoring them well. That is something that I feel very strongly about. That is all part of our mission and vision, and I want that to be continued without compromise,” said Koski. Lehigh soccer stand-out and management major Mark Forrest ’19 chose the university because of the strong balance between athletics and academics. On his men’s soccer roster web page, Forrest describes Koski as “phenomenal” and someone who really knows how to treat and talk to his players. “Coach Koski genuinely cares about the success of his athletes on the field and in between the white lines, but equally as much in the classroom and, ultimately, what they do when they leave Lehigh. He is tasked with bringing in boys to Lehigh and turning out men, and he does that so very well,” said Forrest ’19, whose sports accolades as the team’s forward include being named to the 2018 All-Atlantic Region First Team and receiving his second straight Patriot League Offensive Player of the Year award. Koski said that the Lehigh soccer program receiving this gift is a signature moment in his career. Throughout the years several of his teams won championships. McCaul noted that her husband’s teams always won the sportsmanship award and that Frank considered it the best award to win. Dean Koski will begin his 28th Lehigh season in 2019 as The Ingrassia Family Men’s Head Soccer Coach. Ingrassia believes that what is learned on the playing field about being an honorable person and being fair and compassionate is transferable to the way you lead your life. These are tenets that his peers recognize him by, especially in his commitment to his alma mater. A first-generation college student and scholarship recipient, Ingrassia credits his Lehigh experience as a time of personal growth. Starting out as an engineering major, he was able to learn how to dissect a problem and try to solve it. Switching to finance, he said he continued to use the engineering thought-process, which has served him well through his entire business career. For more than 30 years, Ingrassia worked in leadership positions on Wall Street at both Standard and Poor’s Financial Services LLC and The Goldman Sachs Group. Appreciating the importance of receiving a valuable Lehigh education, he and McCaul have been benefactors of both a scholarship and a professorship at the university, helped fund the Linderman Library renovation, contributed to the global initiatives fund, and supported unrestricted opportunities through the Lehigh Fund. Members of the university’s top giving societies—Leadership Plaza, the Tower Society, and the Asa Packer Society—Ingrassia feels it is critical to give back to the university that has given so much to him. “It is an honor to be able to give back to the school,” said McCaul, who earned a degree in economics from Boston University. Gilmore, who was on Lehigh’s coaching staff 15 years ago, returns to lead the football program. Winningest volleyball coach in Muhlenberg College's history makes the jump to Lehigh.